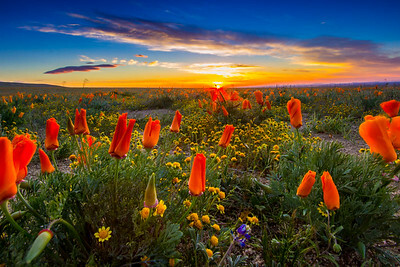 Poppies bloom amidst other wildflowers in April in the Antelope Valley as the sun rises over the horizon. 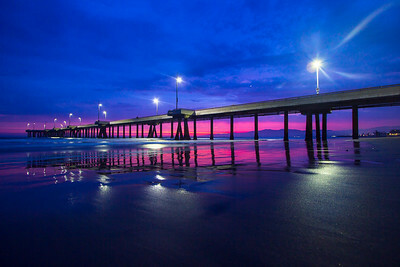 Lights on the Venice Boardwalk illuminate the individual grains of sand as it is reflected off the wet beach while a purple band of sky peers through between the clouds and the beach. 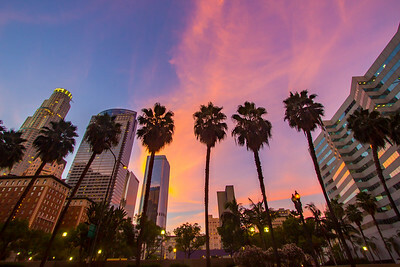 A lone palm tree watches over downtown Los Angeles with a brooding sky overhead. 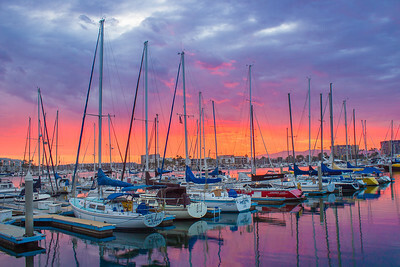 Sailboats prepare for the night as the sunset lights up the sky above and the water below. 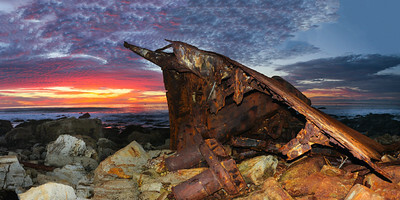 The remains of the SS Dominator can be found on a rocky beach in Palos Verdes. There are thousands of metal fragments scattered around as you get closer to the wreck, so make sure to wear sturdy shoes if you hike here or you'll cut your feet. This one has an interesting story behind it.  I was going to drive to an optometry conference from Los Angeles to Monterey with a colleague; we were planning on leaving Friday evening after work. 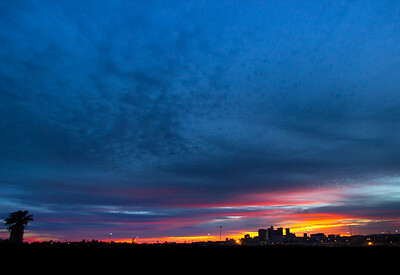 She was unable to make it and decided to drive up separately on Saturday morning, so I left on Friday early afternoon. On the way there I saw some amazing clouds as sunset was nearing, so I headed to the ocean. 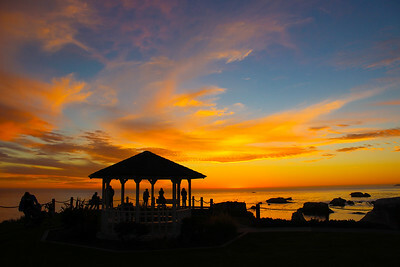 I just happened to come to this charming gazebo at Margo Dodd park in Pismo Beach as the sky completely lit on fire. If my colleague and I had driven up after work together as initially planned, I would have missed one of my wife's favorite pictures. Funny how life works out. 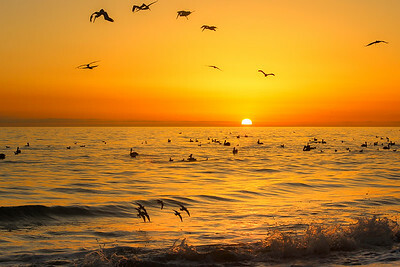 Watching the last edge of the sun slip behind the waves as birds dive for fish from behind an elderly wood and iron structure which had mostly rusted away except for a few columns. 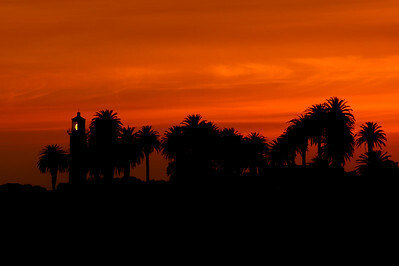 The Point Vicente Lighthouse allows the sun to take a rest from lighting the coast. 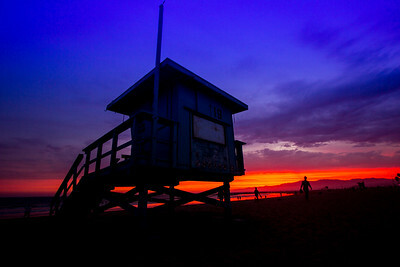 A lifeguard tower watches over swimmers as the sun goes down for the night. 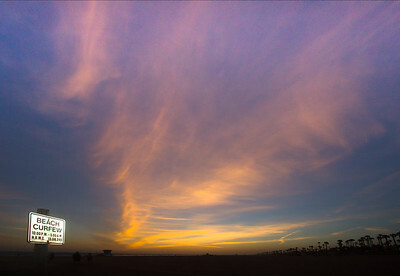 Cirrus clouds hang over palm trees and a beach curfew sign in Huntington Beach. 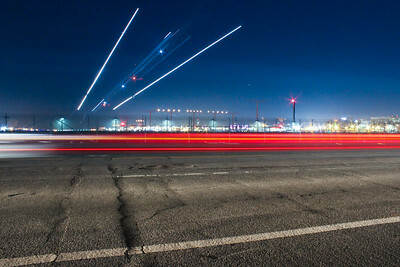 A long exposure near LAX as a plane lands overhead while a car drives by. 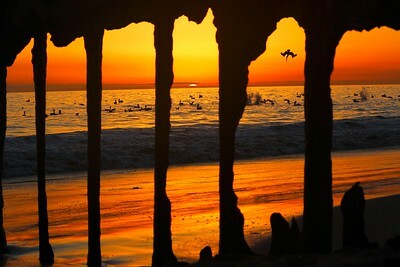 A single rock watches the sunset in solitude while people watch it together in Santa Monica, California. 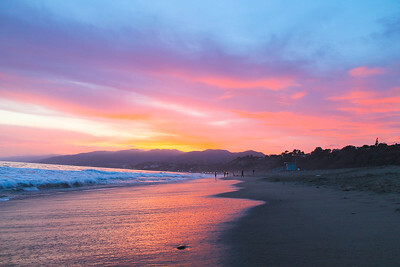 Taken after a great afternoon of playing beach volleyball when the clouds rolled in and lit up the sky. 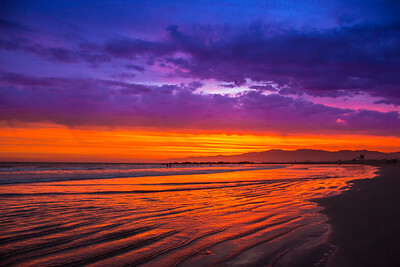 The brilliance of the sky is reflected in a vast swath of ocean as it gently laps against the sandy beach. 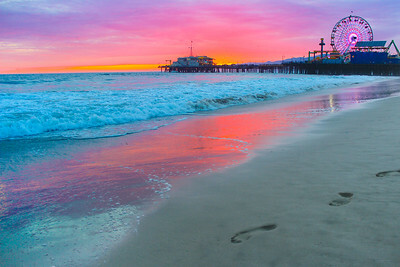 Taken from south of the Santa Monica pier as the ocean slowly consumes the footprints. The clouds helped the water mirror the beautiful colors in the sky and also match the ever-changing colors of the Ferris wheel. 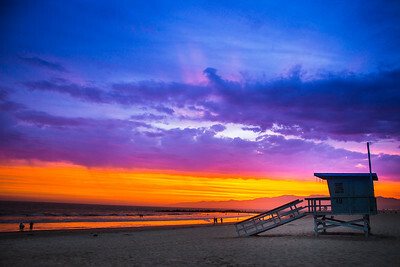 The lifeguard tower nearly appears to be a flashlight with a ray of sunlight emanating from it. Metal and wood pillars rise into the air in downtown Los Angeles near Pershing Square. 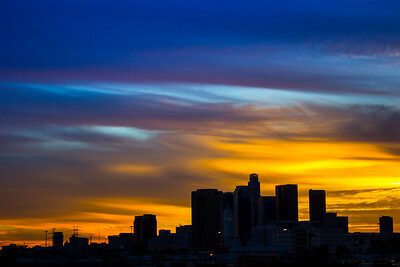 Soft clouds above Downtown Los Angeles from the east. 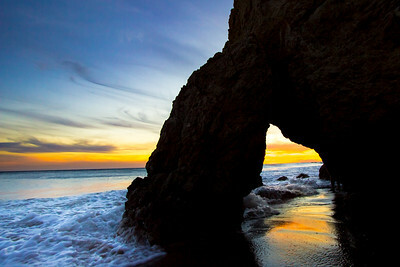 The stone arch at El Matador State Beach serves as a gateway between land and sea. 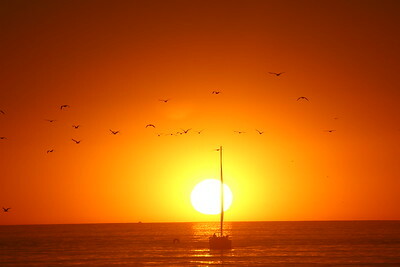 Birds fill the sky as a sailboat cuts the sun in two. Lazy soarers at the top, peaceful floaters in the middle, and speedy wave skimmers at the bottom. Which type of bird would you be? 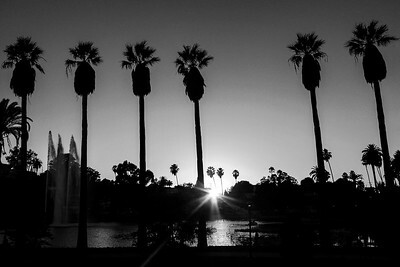 The last rays of the sun shine through palm trees on both sides of Echo Park lake while a mid-lake fountain shoots into the air on the side. 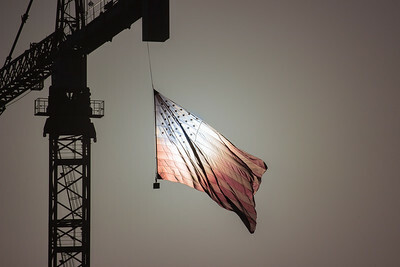 The sun lights up a US flag hanging from a construction crane before work starts in downtown Los Angeles. 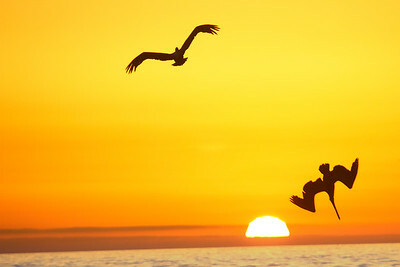 One bird is looking for a fish to go after; the other has already found one and is diving down in hopes of catching a tasty meal. 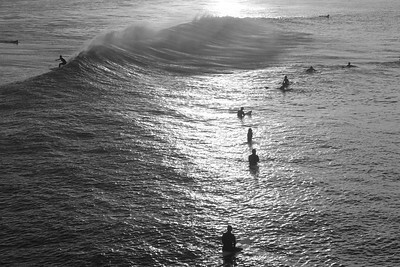 Surfers wait for waves in the early morning light at Huntington Beach.